The ep ‘Freunde Der Technik’ by Patenbrigade:Wolff is the first part of a trilogy on which each of p:w’s vocalists is getting his/her own ep to show his/her talent in full force. 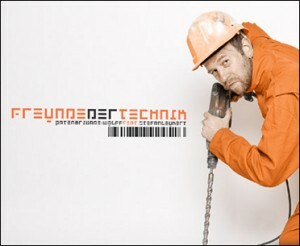 This ep features Stefan Leukert who also wrote the entire lyrics of ‘Freunde Der Technik’. Musically, this release ranges between electro and the finest pop.